I have previously written about my experience with Dahmer’s Retirement Navigator and BetterMoney Choices.com as well as Ian Moyer’s Cascades. Both programs certainly helped guide our family’s thinking, especially in planning for the varying expenses of the go-go years, the slow-go and ultimately the no-go years. Still, as long as my good wife (one year my junior) was holding down a full-time job, much of this planning was largely a theoretical exercise. But now that Ruth has decided to step down when she turns 65 next summer, the financial planning rubber is starting to hit the road. So, when Rona Birenbaum of Caring for Clients told me about her separate company, Viviplan, I was happy to take it for a spin. Viviplan is an online platform providing unbiased comprehensive planning at an affordable price. For this article, in addition to describing our own experiences, we also talk about a couple who are a tad younger than me: Eddie and Jocelyn and a much younger individual named Don. Between us, we represent one couple where retirement is starting to loom on the horizon, another where it’s virtually upon them, and finally a young person still decades away from it and who is only contemplating entering couple-dom and home ownership. I view Viviplan as sort of a computer-based retirement expert system. The software works on PCs or Macintosh (I found Chrome to be the optimum Mac browser for it) and step one is merely to enter all your data into seven easy-to-use modules: personal information, goal setting, Cash Flow/living expenses, Net Worth, Investing experience and risk tolerance, Insurance and Estate Planning. If you’ve done this before, you may be able to round up the data over an evening or weekend. You can also download actual tax returns, brokerage statements, Service Canada projections for CPP/OAS and other documents, although this isn’t mandatory. Once you enter the data, a Viviplan financial planner—in our case and that of our subjects, Calgary-based certified financial planner and product manager Morgan Ulmer—double checks the data, asks relevant questions and in a matter of days produces financial planning recommendations that will optimize your current and future financial situation, including ultimately retirement. Let’s start with Don, a pseudonym for a 32-year old male based in Calgary. Don has been in an inflation-indexed Defined Benefit (DB) pension plan with generous matching provisions for nine years, which means all he has to do to retire between 55 and 60 is hang in. Unlike those without such generous corporate pensions, Don sees little need to contribute to an RRSP or non-registered investment accounts, although he’s adding to his TFSA, chiefly in order to fund the purchase of a home in the next few years. That decision may hinge on how things turn out with his soon-to-be live-in girlfriend. In seeking out Viviplan, Don mainly wanted a second opinion on his investment portfolio, which is simplicity itself: he’s a pure “Couch Potato” investor who eschews individual stocks and has put all his investments into just four index funds from the TD e Series: the classic trio of Canadian, U.S. and international equity, plus fixed income. Since his DB plan can be considered the equivalent of fixed income, his investments are 100% in equities. Not surprisingly, Viviplan says this setup should be sufficient to retire 30 years from now. “They confirmed I was on the right path with my portfolio and gave me some great information on supplementary insurance, and provided me with two possible scenarios: buying a home in two years, or spending some time travelling a bit and deferring the property purchase for five more years.” In the end, he was looking for a “pat on the back,” which he certainly gets from me. Viviplan’s Ulmer agrees: because of his stable well-funded DB pension, his investments are best served by maximizing his TFSA. Once that’s done, he can decide between repaying his mortgage, or investing in an RRSP and/or tax-efficient non-registered investments: “all of which have pros and cons.” On current cash flow, he is advised to retire his modest amount of credit-card debt and use his line of credit only for emergencies. And he should consider buying a convertible, renewable term insurance policy now or when he buys his home. On to our pre-retirees: Eddy Smith, 55 (a pseudonym) and his wife Jocelyn (pseudonym), 53. Both are employees rather than business owners: he’s in I.T. They hope to retire by the time he’s 62, sometime in 2026. Unlike young Don, he does not have a generous DB pension plan, which means he’ll be counting mostly on his RRSP and government pensions for his retirement income (like many Canadians of this age). Eddy and Jocelyn experienced the same thing I did when entering expenses into Viviplan: there are a lot of “additional expenses I might not have thought about otherwise, like financial gifts and paying for kids’ weddings. I always knew they were there but never really put them down in a plan like that. That was one thing they did that frightened me.” They have no debt or mortgages and own a $750,000 house. Their net worth is $2.3 million and Viviplan projects it to pass $3 million by the time they retire. Doing that and delaying CPP/OAS would boost their final net worth from $3.6 million to $4 million. When Eddie does finally convert his RRSP to a RRIF, it should be based on Jocelyn’s younger age in order to increase flexibility. Finally, there’s Yours Truly. Our situation is more imminent. Since we are not anonymous, we won’t reveal our financial specifics. Other software programs also recommended delaying CPP till 70 and “melting down” RRSPs during the low-tax-bracket years of the late 60s. I have modest DB corporate pensions that are not inflation-indexed while Ruth has no DB pension at all: just a maximally funded RRSP and TFSAs on both sides. Our main question was whether to make up for this lack of employer pensions by partially annuitizing, or what Moshe Milevsky and Alexandra McQueen call in the title of their book Pensionize Your Nest Egg. Another author, Fred Vettese in Retirement Income for Life, was in a similar situation when he reached 65 (the same month as I did) and had suggested annuitizing 30% of his nest egg at 65 and doing another 30% at age 75 (assuming CPP at 70). Our question for Viviplan was whether this would make sense for us too, or just for Ruth. According to Ulmer, it’s certainly not necessary, since, at today’s interest rates, a pure GIC portfolio could get us to where we want to go, and have the virtue of more financial flexibility and higher final estate value. Like the other programs, Viviplan recommends delaying CPP till 70 and OAS too if possible. 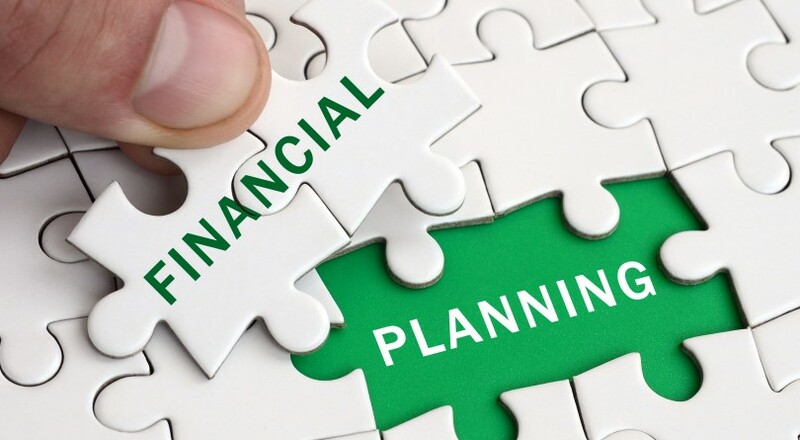 Like the other packages, Viviplan also recommended a “topping up to bracket” strategy during the five or so years of relatively low-tax bracket years between 66 and 71, which is when forced annual RRIF withdrawals must commence. However, Ulmer said, given our expected long time horizon (living ‘till our mid-90s), apart from saving on OAS benefit repayments, topping up to bracket provides “noteworthy, but not exceptional value” because we will eventually withdraw most of the funds from our registered investments. Ulmer encourages us to spend a little more in retirement, but we would also keep maxing out our TFSAs well into old age. One useful recommendation was for Ruth to keep maxing out her RRSP until 2020, but not take the corresponding tax deduction until she starts RRIFing in 2026, where the delayed RRSP deduction could lower or eliminate the start of OAS clawbacks for her. While we budgeted a hefty amount on travel for our “go-go” years, this allocation would gradually fall in sync with the subsequent “slow-go” years and expected rising medical costs. Ulmer recommends in our case “self-insuring” with our financial assets, which includes a surprisingly high value for our Toronto principal residence, which could be used “as a last resort.” Viviplan does factor in rising property taxes that are an unfortunate byproduct of rising home values. There are also several useful estate planning recommendations, but space precludes listing them here. The plan’s asset allocation recommendations were roughly in line with what we have been doing: across all accounts it suggests a 60% fixed income weight to 40% equities, which (coincidentally) is the asset allocation of the most conservative of the new Vanguard Asset Allocation ETFs: called the Vanguard Conservative ETF Portfolio (VCNS/TSX), which is mentioned in the plan although we were already invested in it anyway. Overall, Viviplan or the other programs mentioned here are all useful tools for planning for retirement, whether you’re as young as Don, are starting to get close to the Retirement finishing line like Eddy and Jocelyn, or are virtually there like Ruth and me. As with the process of jettisoning debt and saving for retirement, the sooner you begin the better!